Paul McNutt was born in Franklin, Indiana. He received a bachelor's degree from Indiana University in 1913, and a law degree from Harvard University in 1916. 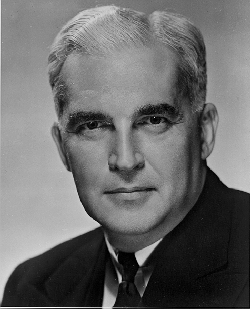 Mr. McNutt served as a major in World War I; a law professor at Indiana University (1919-1933); the governor of Indiana (1933-1937); and the U.S. high commander of the Philippines (1937-1939) before becoming the first Administrator of the Federal Security Agency, a position he held from 1939 to 1945.